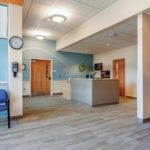 Most dialysis patients schedule treatment three days a week for up to three hours per day. 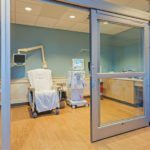 Compounding this can be outdated or cramped accommodations. 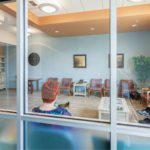 Needing to replace a decades-old facility that wasn’t accommodating the region’s growing population requiring dialysis treatment, Northern Light A.R. 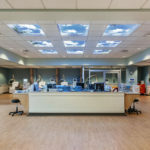 Gould Hospital leadership elected to expand into an adjacent 9,500 square foot space within a leased 1960s strip mall. 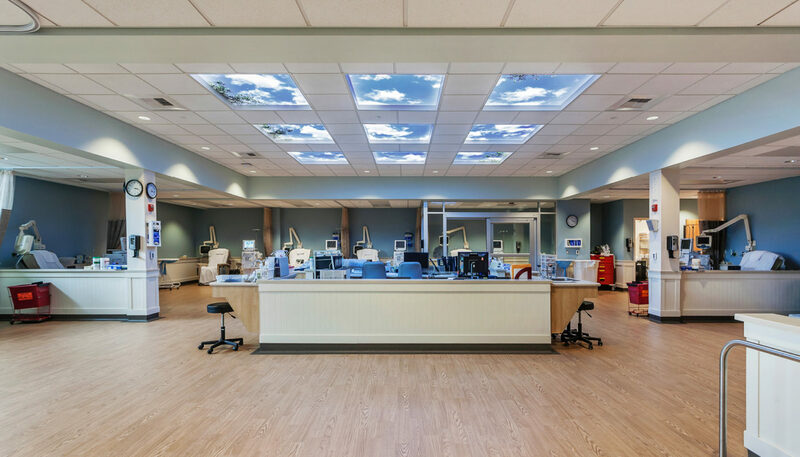 The age of the building shell dictated that no changes be made to structure which necessitated an additional layer of light gauge framing be added to support ductwork, plumbing, ceilings and lighting. 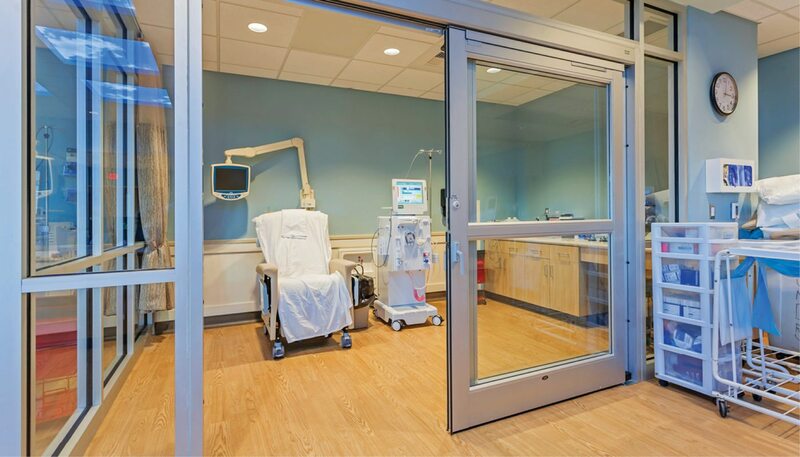 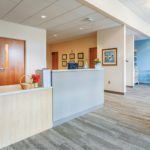 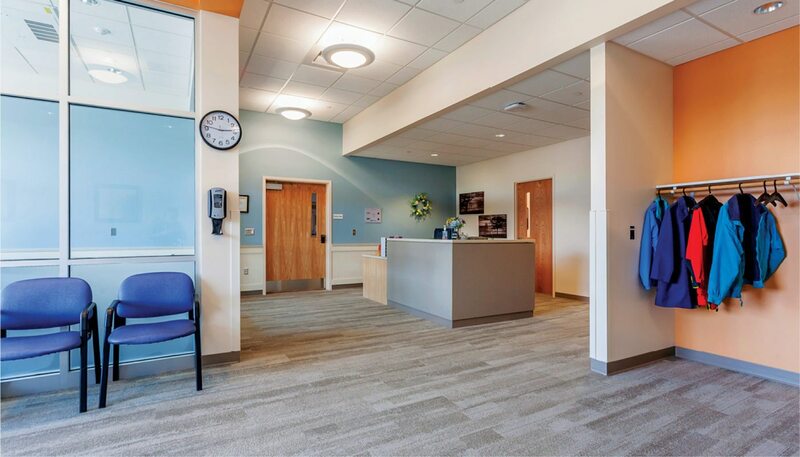 Joining several provider offices already there, the dialysis center was reorganized to provide twelve larger, more comfortable dialysis cubicles for patients and improved access and sight lines for staff serving them. 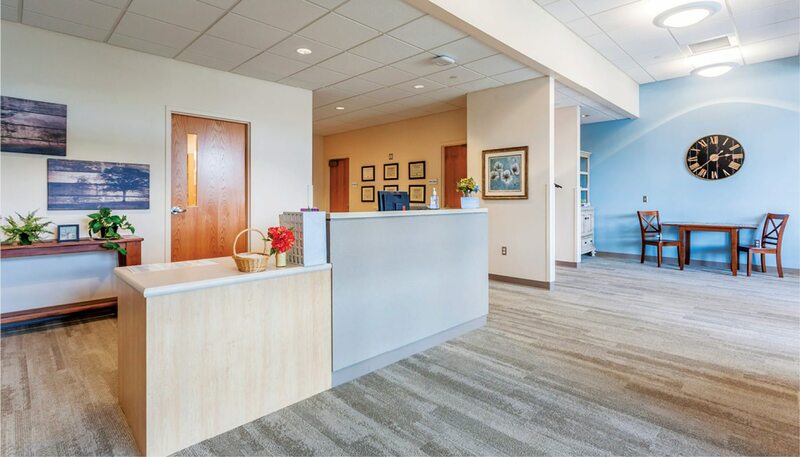 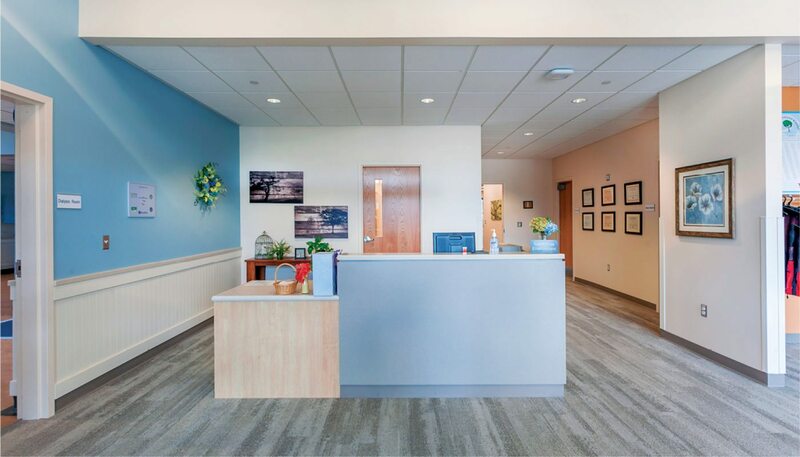 Warm, wood-look flooring and bead board wainscoting create a non-clinical feel to the entire facility. 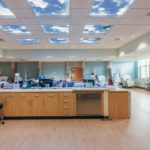 A prominent feature of the dialysis treatment room is a series of skylight-like light fixtures that seemingly bring the Aroostook County sky into view. 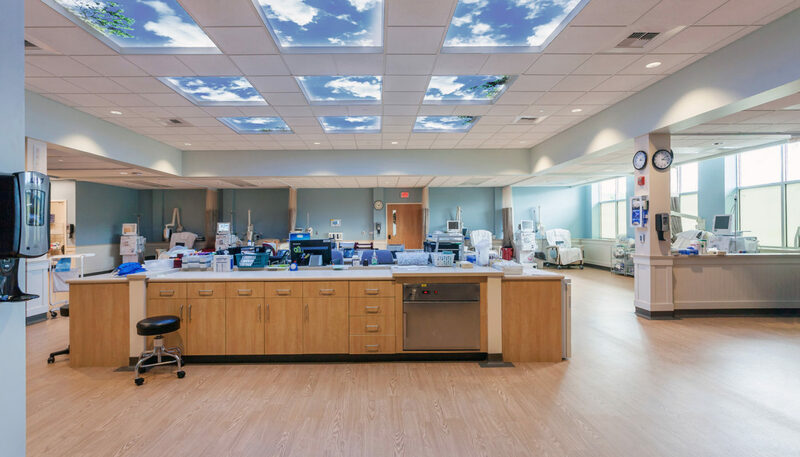 The facility includes a private, enclosed treatment room for Hepatitis sufferers who require separation from the general dialysis population. 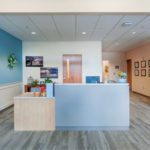 It also features an exam room for visiting providers along with a home dialysis room used for training patients to complete the process at home. 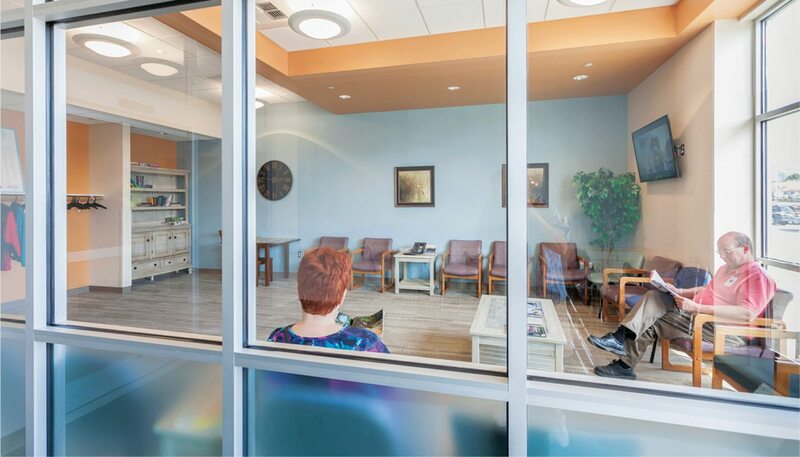 Family and friends who drive patients to dialysis have their own waiting area with a view and natural light just inside the entrance.